This was the first event. I (Claudia de la Torre) organized a group show in the Mucharaum of the Kunstakademie Karlsruhe (Germany). 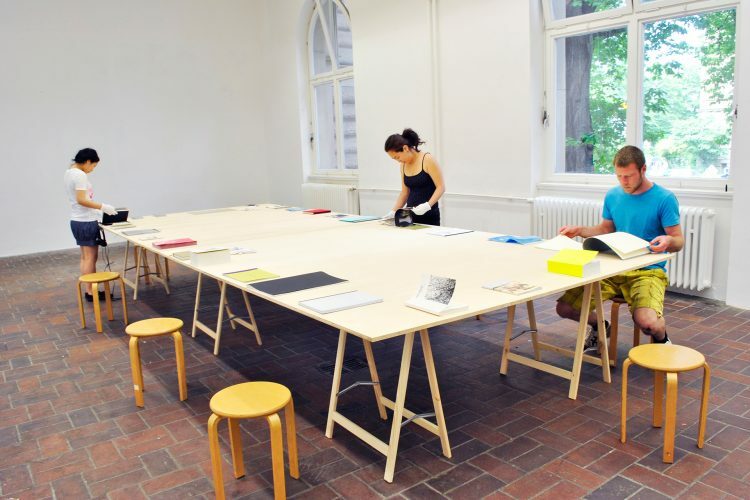 A big table, some chairs around it and books as art works. I invited people I knew from the academy and elsewhere that knew had done a book related project and proposed them to take part in this show. I still remember how amazed I was, as the public took a lot of time to flip through the pages, going from one book to the other in slow motion. 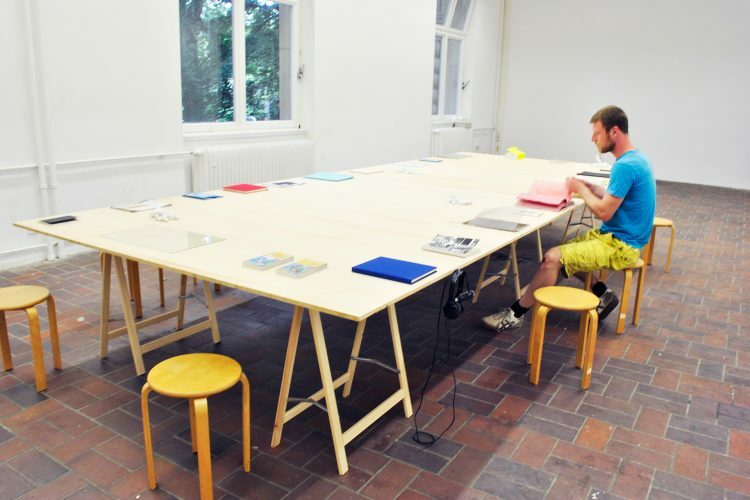 30.05.2012 – 19:00 Mucharaum, Kunstakademie Karlsruhe. People involved: Curated by: Claudia de la Torre. 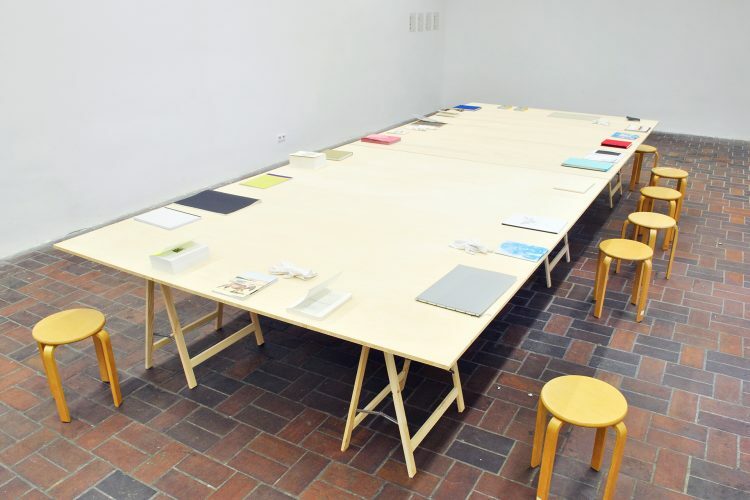 Oleg Kauz, Valentina Jager, Miriam Khouri, Tine Voecks, Johana Broziat, Marleen Kett, Kim Helbig, Rodrigo Hernández, Yoshiya Hirayama, Jonas Fechner, Christopher Heimbach, Miriam Rüb, Ines Lechleitner, Claudia de la Torre.